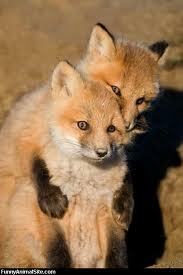 TORONTO - A recent find by a Canadian anthropologist suggests a fox may be the original "man's best friend." University of Toronto professor Edward Banning and an assistant report making the discovery at what they believe is the oldest cemetery in the Middle East, a site in northern Jordan. They say the cemetery includes graves with human remains buried alongside those of a red fox, suggesting the animal could have been kept as a pet by humans long before dogs were. Banning found the 16,500-year-old site in 2000 during an expedition with Lisa Maher, an assistant professor of anthropology at U of T and research associate at the University of Cambridge. Banning says recent excavations at the site uncovered the remains of at least 11 individuals, most of them buried with "grave goods" such as stone tools, animal bones and red ochre, an iron mineral. At least two of the graves contained partial skeletons of red foxes, which the researchers say could suggest foxes were at one time treated in much the same way as dogs. “What we appear to have found is a case where a fox was killed and buried with its owner,” said Maher, who directs excavations at the site. “Later, the grave was reopened for some reason and the human’s body was moved. But because the link between the fox and the human had been significant, the fox was moved as well.” Studies have shown that foxes can be brought under human control but their skittish nature makes it a difficult task, which may explain why dogs ultimately became “man’s best friend” instead. Previous research had identified the earliest cemeteries in the region in a later period, about 15,000 to 12,000 years ago. Some of them showed evidence of humans being buried with dogs. In one case, a woman was buried with her hand on a puppy, while another grave had three humans buried with two dogs and some tortoise shells.